Melinda Gedryn is a dedicated, full time, full service Realtor®. She loves helping her clients buy and sell homes. We live in the heart of tech innovation, that is wonderful and helpful in all aspects of our lives. When it comes to buying or selling your home technology alone will not do. You need a person you can trust, enjoy working with and rely on throughout the process. With over 10 years of real estate experience, Melinda's goal is to make your next real estate transaction a profitable, smooth and pleasant experience. Buyers benefit from her construction background and knowledge of the local real estate market to help you find the ideal home – a home that is well constructed and in a good location. In these tough times for buyers, Melinda works her extensive network to find the best deals for her clients. Thinking about selling your home? Living through the marketing phase of selling your home is stressful at best. Sellers benefit from Melinda's staging and marketing skills to help you sell your home quickly and for the highest and best price – regardless of the market conditions. 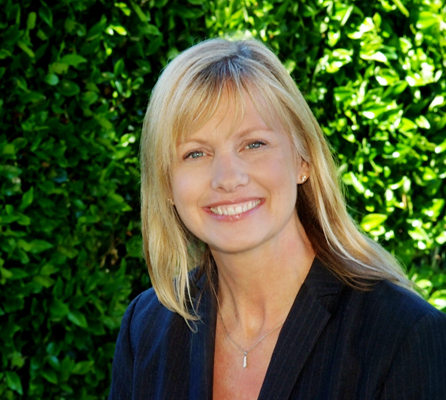 Melinda has spent most of her life as a resident of Willow Glen. She and her husband Bret were raised and have raised their family here. Bret and Melinda are active supporters of the neighborhood, its schools and its sports programs. We have so many wonderful neighborhoods throughout the Bay Area. Having lived here for so long Melinda has developed a great knowledge of a wide variety of neighborhoods throughout the Bay Area. Melinda is always ready to help, if you need a painter, gardener, contractor, lender or insurance agent, please give her a call. She has developed an excellent list of partners who are always ready to provide Melinda’s clients with excellent, personalized service. Call Melinda today and find out how she can make your next real estate transaction your best real estate transaction!